One of the most common reasons for discharge from the U.S. military is musculoskeletal injuries. This has a lot to do with the fact that soldiers often have to walk long distances carrying 100 pounds or more of gear on their backs, which quickly takes a toll on the body. 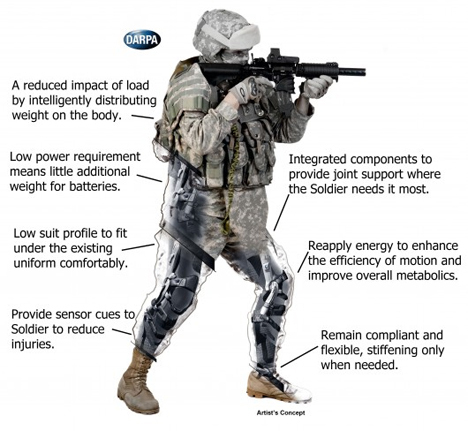 DARPA is designing technology that will reduce the strain on soldiers’ bodies by giving them lightweight suits which will support body tissues and muscles. The project is known as Warrior Web. Unlike other exoskeleton-type suits that have been envisioned to help make soldiers faster and stronger, Warrior Web is a lightweight suit that can be worn under a uniform. It’s flexible enough to allow the soldier to move normally while augmenting and supporting the natural muscles. 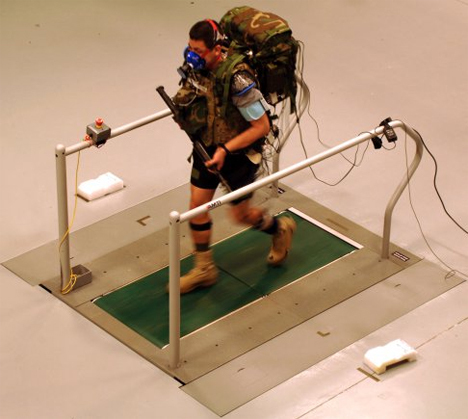 Another of the suit’s functions is to detect any injuries the soldier might suffer while wearing the Warrior Web, then adapt to provide more support to the injured area. The technology could be used outside of the battlefield as well, of course, to support firefighters and police, or even to help injured veterans regain some of their lost mobility. 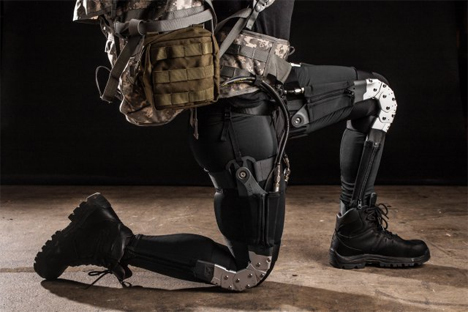 One of DARPA’s loftier goals for this project is to provide enough supplementary muscle power to soldiers that they can easily run a four-minute mile. The suit should be compatible with approximately 90 percent of wearers, both male and female. Using just 100W of power from a small battery, the entire setup should be light enough that soldiers will hardly realize they are wearing it. The only difference will be that they will be able to move faster, stronger and with less fatigue than they could without the suit.